MANILA, Philippines - The Commission on Elections (Comelec) said it is ready for the August 8 polls in the Autonomous Region in Muslim Mindanao (ARMM). This is despite the commission’s alleged budget constraints and limited time for preparations. In an interview over ANC’s Dateline Philippines, Comelec spokesman James Jimenez said there is enough time to prepare and hold automated elections in the ARMM as scheduled. He added that the purchase of PCOS machines, teachers’ training, voters’ registration and the cleanup of the voters' list are already being done. Jimenez said the government earmarked P200 million for the ARMM elections. 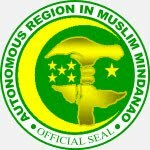 Earlier, some sectors in the ARMM expressed apprehension over the holding of the elections in August. They said the Comelec may not be prepared to hold the polls in 6 months.